Nothing shuts down your backpacking trip quicker than having sore feet when you're only a few miles in. 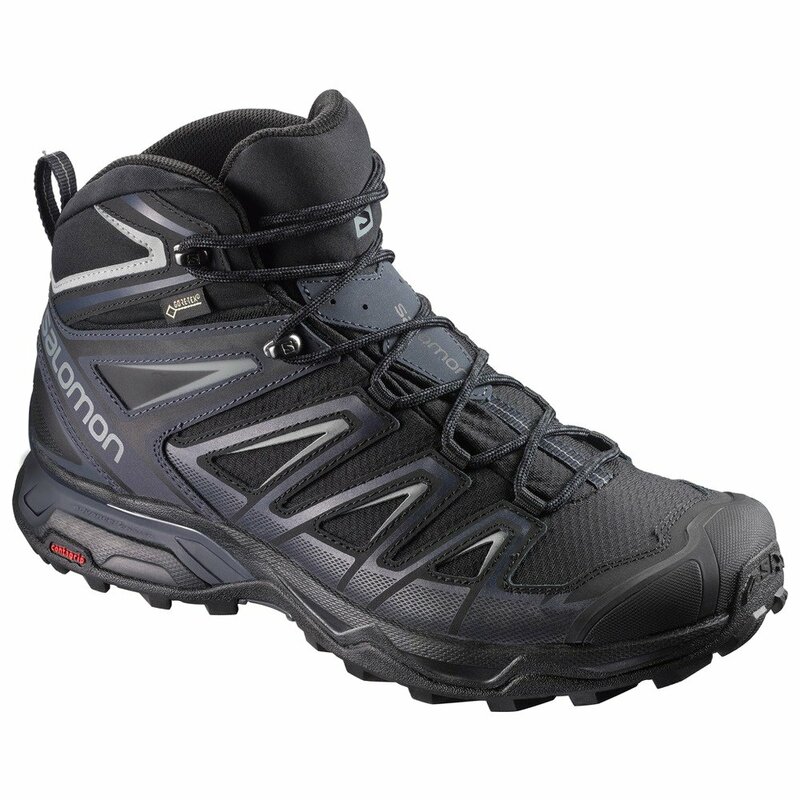 Fortunately, the Salomon X Ultra 3 Mid GTX is designed with the perfect balance of multi-day comfort and serious support, which is probably why it's a Salomon best seller. Ankle-height support ensures that every step is secure, even on uneven terrain. And since every hiker knows going downhill with a pack can be harder than going uphill, these waterproof hiking shoes feature Salomon's Descent Control technology, stabilizing your foot on every step - even in wet and rainy conditions. Sensifit™ technology provides a custom-fit cradle for your foot while running. A Gore-Tex® liner and waterproof coated leather upper keep your foot dry through mud and soggy ground. A contagrip® sole gives this shoe the highest grip possible from Salomon, no matter what the terrain.